A BRASH REBEL ASSASSIN Become Edward Kenway, a charismatic yet brutal pirate captain, trained by Assassins. Edward can effortlessly switch between the Hidden Blade of the Assassin s Order and all new weaponry including four flintlock pistols and dual cutlass swords. BECOME THE MOST FEARED PIRATE IN THE CARIBBEAN Command your ship, the Jackdaw, and strike fear in all who see her. Plunder and pillage to upgrade the Jackdaw with ammunition and equipment needed to fight off enemy ships. The ship s improvements are critical to Edward s progression through the game. Attack and seamlessly board massive galleons, recruit sailors to join your crew and embark on an epic and infamous adventure. 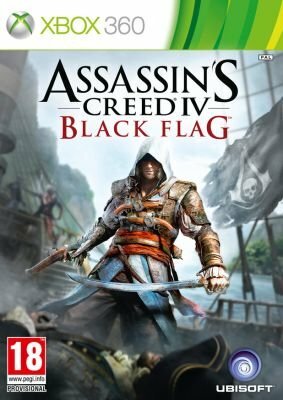 THE BEST ASSASSIN S CREED MULTIPLAYER EXPERIENCE TO DATE - Put your assassination skills to test and embark on an online journey throughout the Caribbean. Discover a brand new set of pirate characters, and explore exotic and colourful locations. Additionally, create your own game experience with the new Game Lab feature craft your own multiplayer mode by choosing abilities, rules and bonuses. Play and share your newly created mode with your friends.